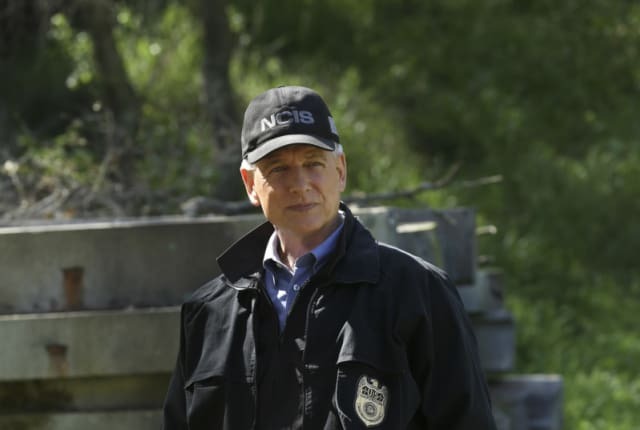 On NCIS Season 14 Episode 22, the NCIS team works with Mounted Police Sergeant May Dawson on a string of related crimes committed in a National Park. When you watch NCIS Season 14 Episode 22 online, Sergeant May Dawson with the Mounted Police is conducting a night-time patrol of Rock Creek Park when she stops a vandal who is spraypainting a sign. When she gives pursuit, however, she comes across a far more serious crime: a Marine gunnery sergeant has been murdered. The NCIS team investigates and it's not long before another, rather curious discover is made: a collection of monkey skulls from Liberia. Given that the deceased Marine had been training wildlife wardens in anti-poaching techniques in Liberia, they decide that this is no coincidence. The situation grows even more unusual when the Liberian ambassador himself shows an unusual interest in the case and clearly knows more than he is apparently willing to share. Meanwhile, McGee is doing his due diligence as senior field agent, making sure the rest of the team completes numerous classes and certifications. They protest at the final item on the list, however, which involves them being pepper-sprayed. And Gibbs is concerned with an injured mounted officer's horse, which is depressed. Find out what happens in the end when you watch NCIS Season 14 Episode 22 online!